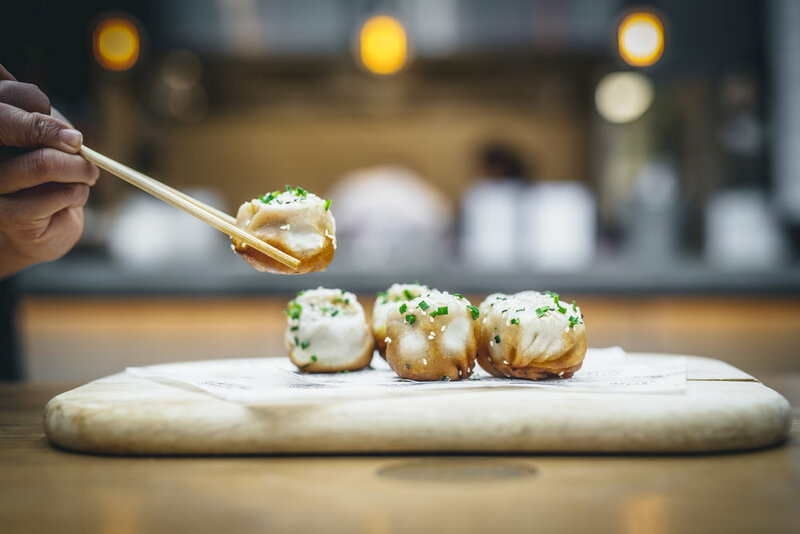 Get your HIIT of dumplings as we partner with Dumpling Shack to celebrate Lunar New Year! On Feb 9th, we’ll be taking over Spitalfields to bring you a food and fitness event like no other. 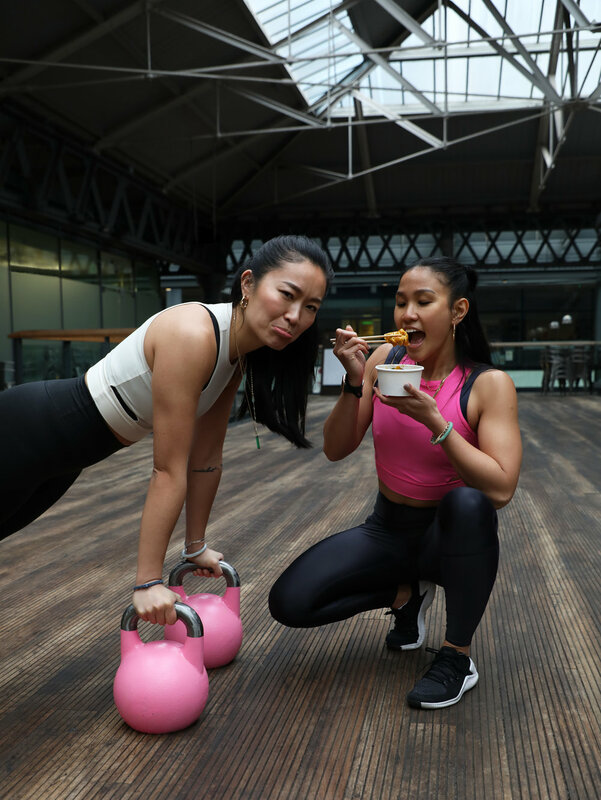 We’ll put you through your paces with a full body HIIT workout before we feast family-style on some proper asian delights: Dumpling Shack’s famous shengjianbaos, spicy wontons and boiled vegan dumplings..
Join us and see in the lucky Year of the Pig the Asian way: with good health and good food! Date: 9th Feb 2019. 12.45pm - 3pm. UNFORTUNATELY WE ARE UNABLE TO PROVIDE ANY REFUNDS. Our favourite workouts. Our favourite food and drinks. All under one roof. On Sunday Feb 3rd, We are joining forces with the Strong Island East crew for their week of health and fitness events - and will be headlining on Sunday! We’re bringing the F&L family together for an immersive day of fitness, food and fun. A feast for your body and your mind, we’ve lined up a menu of London’s best trainers and tastiest treats – ending the week of Strong Island East the only way we know how: with your heart racing and your tummy rumbling. - Re-energise and discuss “Seeing Fitness Through a Different Lens“ with our host Simran Randhawa and a panel of special guests: Nike Trainer Nesrin Dally, At Your Beat founder Joelle Fontaine and Personal Trainer Annabelle Breakenridge. - Then stretch it out with Charlie Dark (Run Dem Crew founder) and Sanchia’s (Yoga Hood LDN) Battle of the Flows. The day will end with a delicious vegan munch that will be cooked up by the incredible team behind Rebel Kitchen! We just be doin’ it! In this 90 minute workshop, we want to take it right back to the core basics - learn how to do a strict press up and pull up with great form. If you think you already know, there is always room for progression! These two moves are misinterpreted and done without guidance, so good form is often overlooked. During our Just Doin' It workshop, this will not be the case. For the first half of the session, we want to take you through the various press-up modifications and how to perfect your form, no matter your skill level. In the second half, we want to go through different techniques to getting your first strict pull up or upping the amount of pull ups - with good form - you can do. Whether you're looking to perfect form, or looking for different methods to up your press-up and pull-up game, join us for the workshop. Come and learn something to take away, put in action and get stronger and feel confident doing it! You’ll also leave with a mini homework booklet that you can track your progress with and really prove whether you’re repping it! Remember the drill, this is a WORKSHOP, which means we will slow everything down and focus on form, technique and getting you your first, or your next, press-up and pull-up... you’ll come away with more than just a sweat! Location: Hybrid Fitness. 66 Prescot St, Whitechapel, London E1 8HG.